Panthers onballers Joel Cross and Nick Liddle have been recognised amongst the best players in the SANFL and selected in the 2017 Advertiser SANFL Team of the Year. It marks the fifth time dual Magarey Medallist Joel Cross has been selected to the annual best 21, having also been named to the side in 2011, 2012, 2014 and 2015. After another trademark season of competitive play averaging 24.7 possessions a game, Cross has been selected to line up on a wing and has also been named as vice-captain. Liddle put in another ultra-consistent season for the Panthers, playing all 18 games and averaging 23.4 disposals. 2017 is the triple Knuckey Cup winner's sixth nomination to the Team of the Year, after being named on the interchange, also earning selections in 2010, 2011, 2012, 2013 and 2014. Both men were again South's major accumulators throughout the season, finishing eighth and ninth in total possessions won for the competition. Cross, who earlier in the month was awarded the R.O. Shearman Medal as the SANFL coaches' best player, and Liddle, who chalked up his 150th appearance for the blue and white this season, are expected to be amongst the contenders for the 2017 Knuckey Cup. 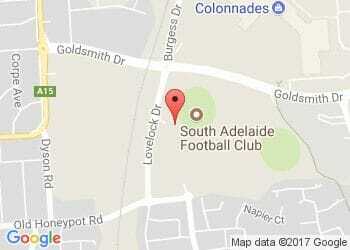 Tickets to South Adelaide's Best & Fairest evening are available here. Fellow Panther Matt Rose was also selected in the initial squad of 40 players for the Advertiser Team of the Year after a versatile season playing across all lines of the ground, but did not make the final cut of 21. Minor premiers Woodville-West Torrens and Grand Finalist Sturt dominated selection with five players named to the team, with Eagles defender Luke Thompson named as skipper and Double Blues coach Marty Mattner given reigns of the side. 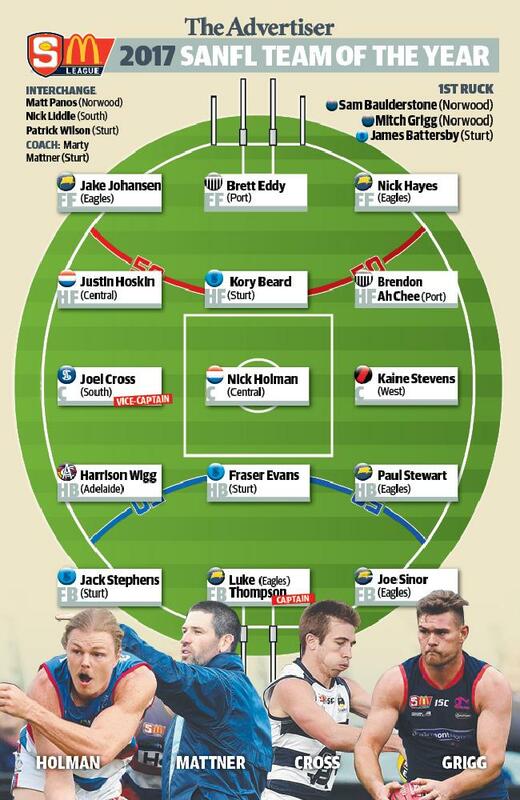 Players were selected on their form across the entire minor round, with AFL-listed players eligible for Macca's League finals also considered eligible for the Advertiser SANFL Team of the Year. This year's team will be selected by SANFL's Adam Kelly, Tom Hurley and Zac Milbank, Channel 7's Mark Soderstrom and The Advertiser's Chief SANFL Writer, Warren Partland.